Many have said that our country runs on coffee. Some might also say we're addicted to caffeine and the energy it provides. Caffeine is a highly addictive compound that many people have come to depend on for the perception of increased energy. Caffeine operates by preventing the chemical adenosine from telling the brain it's time to relax. 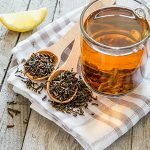 The result is a surge of unnatural energy; but, over time, the brain becomes accustomed to the threshold and requires more caffeine to provide the same alertness. Organic, high-quality coffee has been shown to provide some health benefits. Organic Coffee is full of antioxidants which help reduce oxidation, cell damage, and aging. Coffee drinking should be heavily avoided by people at risk, or who have Osteoporosis. Studies show a link between drinking coffee and urinary calcium excretion. Does Coffee Have A Laxative Effect? Caffeine can dehydrate the body and interfere with digestion. Caffeine also interferes with the absorption of magnesium, which is critical in maintaining regular, healthy bowel movements. Coffee stimulates the digestive system and can induce a temporary laxative effect, causing the bowels to expel waste before they have the chance to process and utilize vital water and nutrients. Coffee's acidic properties may lead to an overproduction of stomach acid that can irritate the intestines. Ironically, decaffeinated coffee has been shown to trigger even more acid production than regular coffee. Over-production combined with coffee's laxative effects can cause too much stomach acid to move into the intestines. Grain coffee is to coffee as herbal tea is to tea, and grain coffee is naturally caffeine and toxin free. Grain coffee is a ground mixture of grains, nuts, and dried fruit and provides only natural flavors. Grain coffee is available in regular drip coffee-maker and instant brands. These coffee substitutes come in a variety of flavors and can be used with with regular coffee. If you normally use 4 scoops of ground coffee, then try 3 scoops of coffee with 1 scoop of grain coffee for the first week. Continue to transition gradually until you have eliminated your consumption of regular coffee altogether. I do enjoy a cup of organic coffee from time to time but when I do drink coffee I always take 1 capsule of MegaHydrate™ before I drink it, to help neutralize any potential toxins or volatile oils. K Saaksjarvi, P Knekt, H Rissanen, M A Laaksonen, A Reunanen, S Mannisto. 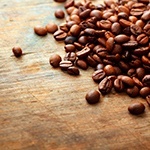 Prospective study of coffee consumption and risk of Parkinson's disease. European Journal of Clinical Nutrition. 2007 May 16. 62, 908–915; doi:10.1038/sj.ejcn.1602788. M.D. Benedetti MD MSc, J.H. Bower MD DM Maraganore MD, S.K. McDonnell MS, B.J. Peterson BS, J.E. Ahlskog PhD MD, D.J. Schaid PhD, W.A. Rocca, MD MPH. Smoking, alcohol, and coffee consumption preceding Parkinson’s disease. The Official Journal of the American Academy of Neurology. 200 November 14. vol. 55 no. 9 1350-1358. Rob M. van Dam PHD12, Walter C. Willett MD, JoAnn E. Manson MD, Frank B. Hu, MD. Coffee, Caffeine, and Risk of Type 2 Diabetes . American Diabetes Association. 2006 February. col. 29 no. 3, 398-403. Leitzmann MF, Stampfer MJ, Willett WC, Spiegelman D, Colditz GA, Giovannucci EL. Coffee intake is associated with lower risk of symptomatic gallstone disease in women. Gastroenterology. 2002 Dec;123(6):1823-30. Marilyn Johnson-Kozlow, Donna Kritz-Silverstein, Elizabeth Barrett-Connor, Deborah Morton. Coffee Consumption and Cognitive Function among Older Adults. American Journal of Epidemiology. 2002. 156 (9): 842-850. doi: 10.1093/aje/kwf119. Joan Lindsay, Danielle Laurin, René Verreault, Réjean Hébert, Barbara Helliwell, Gerry B. Hill1, Ian McDowell. Risk Factors for Alzheimer’s Disease: A Prospective Analysis from the Canadian Study of Health and Aging. American Journal of Epidemiology. 2002. 156 (5): 445-453. doi: 10.1093/aje/kwf074. Arendash GW, Schleif W, Rezai-Zadeh K, Jackson EK, Zacharia LC, Cracchiolo JR, Shippy D, Tan J. Caffeine protects Alzheimer's mice against cognitive impairment and reduces brain beta-amyloid production. Neuroscience. 2006 Nov 3;142(4):941-52. Epub 2006 Aug 28. Eskelinen MH, Ngandu T, Tuomilehto J, Soininen H, Kivipelto M. Midlife coffee and tea drinking and the risk of late-life dementia: a population-based CAIDE study. J Alzheimers Dis. 2009;16(1):85-91. doi: 10.3233/JAD-2009-0920. Lopez-Garcia E, van Dam RM, Willett WC, Rimm EB, Manson JE, Stampfer MJ, Rexrode KM, Hu FB. Coffee consumption and coronary heart disease in men and women: a prospective cohort study. Circulation. 2006 May 2;113(17):2045-53. Epub 2006 Apr 24. Riksen NP, Rongen GA, Smits P. Acute and long-term cardiovascular effects of coffee: implications for coronary heart disease. Pharmacol Ther. 2009 Feb;121(2):185-91. doi: 10.1016/j.pharmthera.2008.10.006. Epub 2008 Nov 11. Review. Charalambos Vlachopoulos, Demosthenes Panagiotakos, Nikolaos Ioakeimidis, Ioanna Dima, Christodoulos Stefanadis. Chronic coffee consumption has a detrimental effect on aortic stiffness and wave reflections. The American Journal of Clinical Nutrition. 2005 June. vol. 81 no. 6, 1307-1312. Klag MJ, Wang N, Meoni LA, et al. Coffee Intake and Risk of Hypertension: The Johns Hopkins Precursors Study. Arch Intern Med. 2002. 162(6):657-662. doi:10.1001/archinte.162.6.657. Hallstrom H, Wolk A, Glynn A, Michaelsson K. Coffee, tea and caffeine consumption in relation to osteoporotic fracture risk in a cohort of Swedish women. Osteoporos Int. 2006;17(7):1055-64. Epub 2006 May 4. Price SF, Smithson KW, Castell DO. Food sensitivity in reflux esophagitis. Gastroenterology. 1978 Aug;75(2):240-3. Sin CW, Ho JS, Chung JW. Systematic review on the effectiveness of caffeine abstinence on the quality of sleep. J Clin Nurs. 2009 Jan;18(1):13-21. doi: 10.1111/j.1365-2702.2008.02375.x. Review. Mackay DC, Rollins JW. Caffeine and caffeinism. J R Nav Med Serv. 1989 Summer;75(2):65-7. Hisatsugu Miyata1, Naoyuki Hironaka, Kohji Takada, Katsumasa Miyasato, Koichi Nakamura, Tomoji Yanagita. Psychosocial withdrawal Characteristics of nicotine compared with alcohol and caffeine. Annals of the New York Academy of Sciences. 2008 October 6. vol. 1139, pages 458-465 DOI: 10.1196/annals.1432.030. Laura M. Juliano, Roland R. Griffiths. 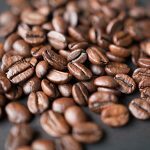 A critical review of caffeine withdrawal: empirical validation of symptoms and signs, incidence, severity, and associated features. Psychopharmacology. 2004 October. vol. 176 issue 1, pages 1-29.